Candice's Beauty Blog! 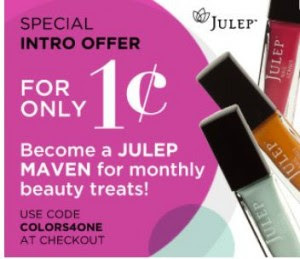 : Is Julep nail polish 3-free or 4-free?? I've been wondering about this and am hoping for a clarification. The polished are advertised on the website as being 4-free but all the bottles I had received so far have been marked as 3-free. Which is right and why doesn't the information in both places match? Thank you for contacting us. We completely understand your concern. This has been brought to the attention of our product development team. Our website is correct; we are considered a 4-free polish company. We are in the process of updating our polish to reflect our 4-free formula. Please feel free to contact us for any additional information. Until then, have a great day! I don't want to be annoying about it but does that mean the polish is mis-labelled as 3-free or rather the polishes are becoming 4-free and not all of them are yet like the ones I received? Sorry for my persistence! Thanks for your answer! Thank you for your quick response. We completely understand your curiosity on this matter! Our polishes are all 4-free. However, some of our bottles have not been updated to reflect this. You will soon see an adjustment on our bottles. Until then, we can assure you that you are wearing 4-free polish. Please feel free to contact us for any additional information. Until then, have a lovely day! this is good information - i actually never even noticed this! Great information Candice! Thank you. I was curious about this as well! Thanks Julep for clarification!